Cold calling can strike fear into the hearts of even the bravest of salespeople. If you’re not doing it right, it could be a waste of time. If you’re utilizing your time and resources in the most efficient way possible — cold calling could be an effective sales tool in your bag. But even still, we don’t full recommend it. Before you even begin, try a different frame of mind: This call isn’t just some “cold” call. It’s the first conversation in which you’re just introducing yourself to a potential customer to see if they’re a fit for your stuff. Here are the 10 Cold Calling Techniques all good reps need to make quota. Complete disclosure, LeadFuze’s goal in life is to kill the cold call. Our ten cold calling techniques are legitimate and (we hope) helpful, but we still would rather you try a different approach to booking a call. Yes, by all means, call! Just not the traditional definition of “cold”. Based on recent cold calling data, it takes roughly 100 cold calls to get 7-10 conversations. Out of those calls, it takes over 100 “no” answers (actually 118) before you get a “yes”. If you can make 150 calls a day, you may get that yes, but at the cost of your day. And for B2Bs, the product you sell may not be an instant purchase, but only the beginning of the sales process. So, a rep spends 2-3 days a week cold calling to find a few prospects and the remaining time is chasing, nurturing and closing those prospects. Here are two ways that could help you avoid the 150-300 a day call cycle. Seriously, in the B2B world, emails can get 30%-50% open rates and 5% response rate — when done correctly. Send them an email with an offer that is related to, but not explicitly what you’re selling. In some cases, it could be what you’re selling, but not usually. We’ve come up with 22 different templates in the LeadFuze app to send to leads. Everything from webinars to pitching a guest post. Sending a direct mail piece is coming back into style. We’ve had clients that have used direct mail and email to really drive interest and schedule calls. One send a five dollars in a clear envelope and sent an email saying, “I’m the bloke that send you five bucks” (he’s Australian). 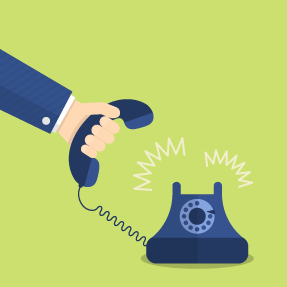 If you still hear the phones calling to you, here are the 10 cold calling strategies. Cold calling isn’t just about making that final sale. It’s about getting your foot in the door to even make the sale. A cold call is an effective way to set up an appointment, during which you can make your sale. When setting up that appointment, ask for a specific appointment time. Rather than asking if you can speak at some fuzzy point in the future, ask if you can call at 10 a.m. on Thursday, etc. Pat Cavanaugh of Inc.com recommends asking for only 10 minutes of your prospect’s time. 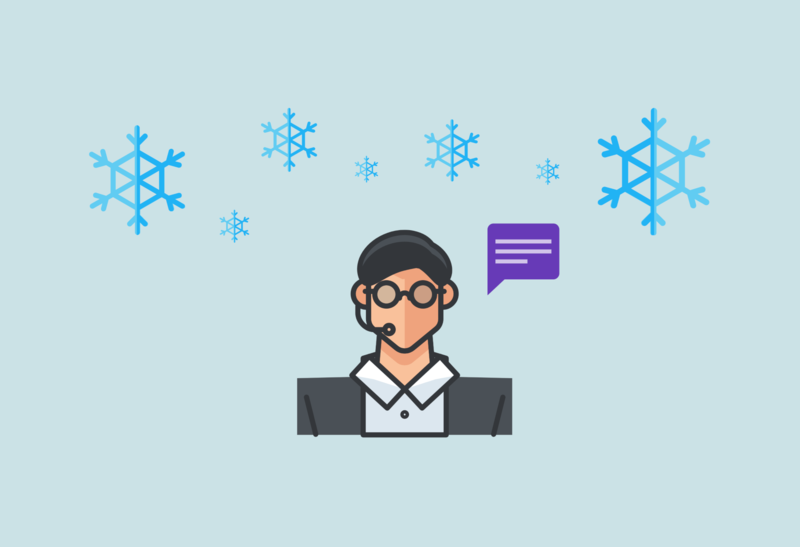 Using those pre-call methods beforehand could warm up a cold prospect, as well. If your company has a quota of how many cold calls you need to make a month, plan out your personal goals by week. That way you’re not spending the last week scrambling to get all of your calls in. An effective salesperson needs to be making their cold calls to the right person at the right time. To utilize their time in the most efficient way possible, a good salesperson will use market research, focus on their target market, and get as much background on the decision maker up front. Connecting with the right person (the first time) can be a critical component of your cold calling success. Dig into the background of the company, the person you’re pitching to, and the industry in general. A good salesperson will look up the background of the person they’re connecting with and the company on social media. A connection as simple as a shared LinkedIn group could give you a 70% increased likelihood of speaking with a cold called decision maker. Successful salespeople are very prepared going into a cold call. Not only have they researched the company, and the person they’re calling, but they’ve also prepared an opening statement and a script for the rest of the call. Just as you wouldn’t go into an interview empty handed, you shouldn’t plan to wing the rest of the call after the introduction. The idea of a script is not to just read a monotone, prerecorded-sounding list of your company’s accomplishments. The goal behind a script is to have prepared speaking points, so that you don’t leave something valuable out of your discussion, or spend too much time meandering. Pro Tip: Prepare open-ended questions, in which “yes” and “no” answers won’t suffice for an answer. You’d like to give room for a response from your prospect, and make them feel like an active participant. Additionally, make sure you are prepared to answer in-depth product questions. When choosing a time to set up a meeting, be strategic about the when and how. A quality salesperson will entice the prospect with an email, before setting up their actual phone call. And providing some information beforehand can give your prospect background on your company, and that can help to warm them up to you and (eventually) your sales pitch. This technique can help transition you from a random stranger, to a work acquaintance they just haven’t quite met yet. I know it may be awkward at first, but practice. Practice on your coworkers, your family, your cat or dog, your friends — it doesn’t matter who, but practice. Make sure to practice your opening pitch, practice your dialogue, practice how you ask for a client meeting. Many people are uncomfortable with cold calling — but the more you practice, the more comfortable you’ll become. And in the end, that will make you a better salesperson. Practice ensuring your tone of voice is upbeat, and that you’re not speaking too quickly. 38% of verbal communication is understood just by tone of voice, so make sure you’re engaged, upbeat, and aligning yourself as an ally of the company’s success. Your cold call prospect is busy, you’re busy, we’re all busy these days. Key Stat: 80% of sales are made after the fifth contact, according to MarketingWizdom. In other words, 92% give up after 4 contacts, and only 8% of salespeople as for an order or contact a 5th time. However, that 8% of salespeople are closing 80% of the overall sales — so tenacity pays off. Rejection can actually be a tool to improve your cold calling skills. Whether it’s learning what pain points you didn’t address, or discovering you didn’t do enough upfront research, or maybe your approach wasn’t quite right — whatever the reason for rejection is, try to view it as a launchpad for your next call to be even better. If possible, ask why someone doesn’t want to buy your product or service. Learn from your mistakes, and aim to do better each and every call. Don’t see your first call as your only call — try to frame it as the beginning of a conversation. Plan a follow-up call in which you go more in-depth into your products or services. Gather information from the prospect as much as possible so that, even if they pass on the first call, you can come back from there with a second call that more accurately addresses their needs. Cold calling and rejection can induce nervousness. After every 10 to 15 calls, try taking a break. Stretch your legs, grab more coffee, or refill on snacks. Play with a fidget spinner, if that’s your thing. Just try to relax, and give yourself a couple of moments to mentally prepare for the next round of calls. The term cold call implies complete lack of preparation (no script, lead data, nothing). If your prospect feels blindsided by your call, you have not done your homework. Start with social media engagement. Your social media efforts can explain to your prospect why you are reaching out, provide you with discussion topics for the call (call ammunition), and warm your prospect up to an exploratory conversation. Most sales reps either prospect and build their own lead lists or have lists given to them by a manager. The lead lists are often created with a tool like LeadFuze. Although valuable, lists like these are not enough to transform your cold calling process. 1. Check out your prospect’s LinkedIn profile. This will be the first way you passively introduce yourself. You should spend 3 minutes collecting 3 relevant notes on your prospect that may become valuable discussion points during your first call. (also known as a 3×3). It is important that you DO NOT invite them to connect. It is too early since you have not previously engaged with your prospect. 2. Follow your prospect and their company on Twitter. This is a GREAT opportunity to passively interact with your prospect prior to the call. If they’re sharing interesting content engage with them by commenting, liking it or retweeting it. These small touches will generate a conversation before you ever pick up the phone. 3. 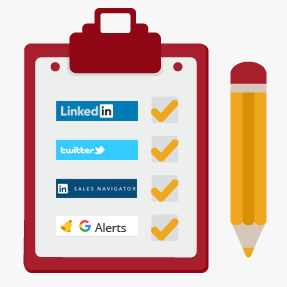 Take advantage of tools like Team Link on LinkedIn’s Sales Navigator. You may know someone in common with your prospect and can ask for an introduction or referral. 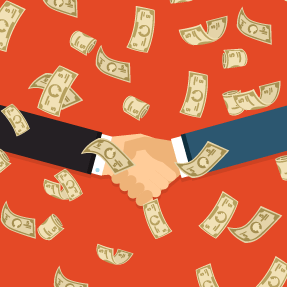 Just because your prospect came to you on a cold list doesn’t mean you have no existing connection. Leverage your network. 4. Set up Google Alerts for their company. This provides you with a daily digest of news relevant to your prospect’s company. With above steps, this will make you 99% more prepared than other callers pursuing your prospect’s business. You’ve completed the prep and are ready for the smart call. Since you are prepared, you are removing the potential for awkwardness and this really is no longer cold calling. Your prior social media engagement will earn you a “Hi Chris, what can I do for you?” instead of a “Chris from where? Did you say PandaDuck?”. b) they will presume that the two of you have previously interacted, and will respond with some variation of “Hi Chris, what can I do for you”. Obviously there are outliers, but this consistently produces results. Now communicate the value and purpose of the call. Tone here is key – be the expert that your prospect wants to talk to. Project the 3 C’s: Comfort, Confidence, Coolness. Now use everything you’ve gained from your preparation. You know why they are the person you want to talk to and what you can discuss that will bring mutual value. This proves that you’re not just calling down a list. You found them through the content THEY shared. THEIR content peaked your curiosity and inspired you to reach out. This is a huge compliment and is a better way to start a call than rattling off a pitch. If you interrupted them, it’s no big deal – give them an “easy” out and by getting an appointment. “Bob, am I catching you at a bad time?” If they say yes, great. Be polite but persistent and make sure that something is scheduled. If you’re an AE – these are the seeds for your pipeline. If you’re an SDR, this is building up your month with warm calls. The next time you speak with them will be a lot easier because you have an actual appointment. The qualification phase can be three different tranches – early, mid, and late discovery. Early Discovery phase is qualifying their basic ability to use your product. You’re also confirming you understand their business. Collect information that will help you build pain in the next tranche. You want to accomplish one of two things – unqualify them because they’re a bad fit or move on to building interest in taking a meeting. Mid Discovery is dedicated to building pain and creating holes in their current process. If you’ve found out how things work at their company, you can start “twisting the knife” on some of their pains. Use techniques like Negative Reversing, a Sandler technique that’s useful for getting prospects to correct you and move the conversation in your favor. You stand to gain key information, and can build a ROI proposition for your prospect. You need to create urgency about their real problems – that fortunately you can fix. Now you have leverage to ask some serious questions in the third phase – Late Discovery. Ask them powerful questions that compel serious consideration of your solution. 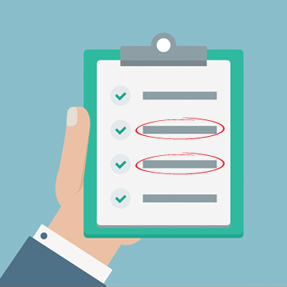 These questions depend on your buyer personas, ideal customer profile, and product but they should be extremely potent and in line with the type of questions touted in The Challenger Sale. Once you’ve communicated value, move onto the final stage of the prospecting process, closing. After you’ve hooked them, set up the meeting immediately. Try to get it set for as soon as possible and verify their contact information. If possible, have them stay on the line as you send them the calendar invitation and accept it. Congratulations! You’ve successfully called with meaning, provided value, and fattened your pipeline using these cold calling techniques. Are you a successful sales professional who cold calls? What are your best techniques? Let me know in the comments.